This Sunday we welcome our area bishop, Paul Mason who is here to confirm some young people of our parish. Confirmation is one of the three sacraments of initiation and is intimately linked with Baptism and the Eucharist. What I pray for today is that our young people will be “truly aflame with a Pentecostal passion for proclaiming the Good News of the Risen Jesus outside of their cosy “upper rooms”. These are words from Bishop Michael Evan’s book on Confirmation. Hopefully they will be part of a parish and a church that is called to share in the mission of Christ and the mission of the Holy Spirit, the mission of God himself. “There is no room for a vision of a church as simply a community of believers who pray and worship together, and love one another, but who have no desire to be drawn into the continuing work of the Risen Lord to bring his saving love to every human being in every time and place.” (Bishop Michael Evans). I would like to thank Fr. Daniel and the catechists on their dedicated and hard work in preparing our young people for this important day in their lives. Also thanks go their parents for bringing children to the fullness of faith and finally I would like to assure our young people of the prayer and support of the people of St Thomas of Canterbury parish. A fragment of bone believed to come from the arm of Thomas Becket is being brought back to Canterbury Cathedral this weekend. 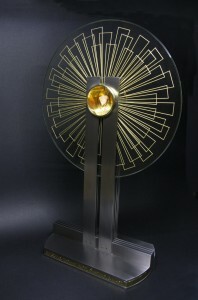 The relic is coming from Hungary, where it is held in the Basilica of Esztergom, to be the centrepiece of a week –long pilgrimage which finishes in Canterbury during the weekend of 28 May and 29 May. After services and public events in London beginning on Monday 23 May, the reliquary in which the piece of bone is set (pictured right), is being brought to Rochester and then to Canterbury on Saturday (28 May). The pilgrims, including Hungarian Ambassador, Mr Péter Szabadhegy and other Hungarian delegates, are planning to walk and carry the relic from Harbledown on the outskirts of the city to the Cathedral. The pilgrims will be greeted at the Cathedral by the Dean, the Very Revd Dr Robert Willis; the Bishop of Dover, the Rt Revd Trevor Willmott and the Lord Mayor of Canterbury Councillor George Metcalfe. A short service of celebration will then be held and all are welcome to attend. The relic will be on display in the Cathedral’s Crypt on Sunday morning from 9am until 12noon (special opening time) prior to a Mass at 1.30pm in the Western Crypt which is being celebrated by Canterbury’s St Thomas’ Roman Catholic Church. All are welcome at this service after which the relic will return to Esztergom. There are various theories as to how the relic came to be in Esztergom in 1220 but it later became a symbol of Hungarian Catholic resistance to communism and is therefore of considerable importance for the Hungarian people. The pilgrimage is happening during the same weekend as the Cathedral opens its private gardens to visitors as part of the National Gardens Scheme and to raise money for charity. Normal Precincts charges will apply during the weekend for visiting the Cathedral, including for visiting to see the relic and there is more information on our website about the Open Gardens. There is no charge to attend Cathedral services. For more about the week-long pilgrimage visit the Hungarian Embassy website. In every Catholic child’s life their first communion day is a day to remember. I can still recall exactly where I knelt in my church of St Bedes on the day of my first communion. I also have some sweet black and white photos of a group of us from the local estate posing in the local park after the Mass and breakfast. For this celebration the child is the centre of attention, and is often the recipient of religious gifts and other presents. After months of catechesis they receive Jesus under the appearance of bread and wine for the first time. They have reached a new stage in their journey of faith and are now able to participate in a fuller way in the one event that defines them, nurtures them and forms them. The Eucharist, also known as the Mass, is what Jesus has left us He has asked us to celebrate this liturgy in memory of him. The Church teaches that it is the source and summit of the Christian life. Congratulations to all our children who are receiving Jesus in Holy Communion for the first time. Thank you to parents and catechists who have accompanied them on their journey. As a parish we have a responsibility to celebrate the Eucharist each week as well as we can. If we sing half heartedly, listen inattentively, respond without meaning in what we say then perhaps it is an indication we do not value this wonderful gift. It can become familiar and routine. These are some words written by Pope Benedict XVI in his document on he Eucharist.